The SA 330 Puma is a medium transport and utility helicopter originally built by Sud Aviation of France, but later manufactured by Aérospatiale. The SA 330 Puma served as the precursor to two internationally famous helicopters: the AS332 Super Puma and the Denel Rooivalk (red falcon). The Puma was primarily used for military purposes and has seen combat in a wide number of theatres across the globe. These included the Gulf War, the South African Border War, the Iraq War, the Falklands War and more. The Puma was first introduced in 1968 after the project began in 1963. Its design was based on requirements from the French Army for an all-weather medium transport. The Puma is powered by various engines depending on the variant. The 330J uses two 1575 shaft horsepower Turboméca Turmo IVC turboshafts. The 330G and 330F variants use two 1435 shaft horsepower Turboméca Turmo IIIC4s. The cabin has room for two pilots and one jump seat. Passenger configurations carried from eight seats to twelve for executive layouts. In the airline arrangement it can carry up to twenty passengers. The Puma is notable for being the first all-weather certified helicopter, which included icing conditions. This was largely thanks to its advanced (for the time) weather radar. It received this certification in 1979. While the majority of Pumas were sold to the military, there are a significant number in civilian use. In total, across all variants, there have been 696 Pumas sold. 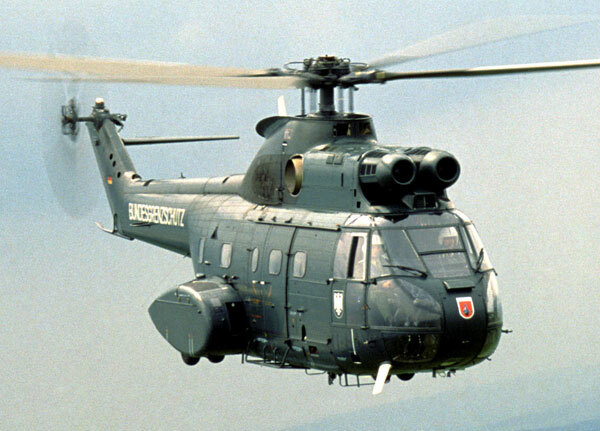 While it has now been supplanted by the Super Puma, the original Puma remains in service and is still in limited production in Romania by IAR, mostly for the Romanian military. 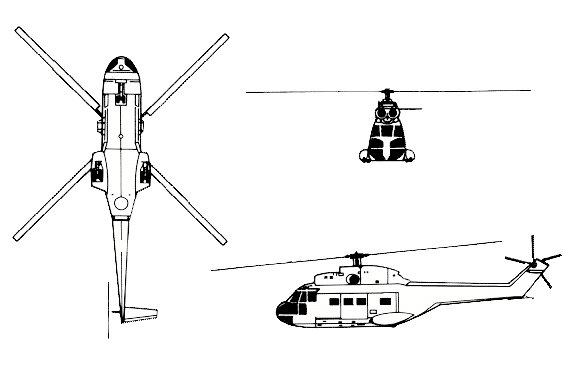 Do you want to comment the Aerospatiale SA 330 (J) Puma helicopter?